Editor’s note: This is Part II of a three-part series. Part I is available here. Part I of these reflections focused upon the structural constraints faced by the International Criminal Court as a whole. Within this framework, I wish to focus upon the role of individuals and officeholders in the courts success or failure within those constraints, with a focus on the office of the prosecutor and the judges of the court (Chambers). This post thus sets out to address questions of the Court’s internal workings, practices and culture. In relation to the OTP, I will focus on questions of strategy and management; in respect of chambers, questions of collegiality and assessment of evidence. Space precludes an evaluation of the Registry’s contribution to the court’s present woes beyond my earlier allusion to the well-known, long and expensive series of employment law cases brought against it which followed from a previous registrar’s restructuring exercise. Again, little here will seem especially new to close observers of the Court, the point is to pull together a worrying cluster of issues for a broader audience. Warning: long post ahead. It is worth acknowledging both the enormous power of the role of an international prosecutor, and the very great difficulties in doing the job successfully. As Stahn notes, the Prosecutor is the engine of international criminal tribunal proceedings. He or she conducts investigations, selects defendants, brings cases to trial. In doing so, it is common for prosecutors to say that they are only following the law or evidence, but in practice they have substantial discretion in case and defendant selection. In addition, obtaining defendants and evidence requires, in practice, the cooperation of States. Thus, prosecutors’ work ‘is inherently linked to politics due to the political context of crimes, the politics behind institutional engagement and their large degree of choice.’ That said, international prosecutions are hard. Gathering evidence in conflict zones is hard. Operating in the face of government obstruction is hard. And the reality of selective justice at the international level means prosecutors will always be open to criticisms of partiality or lacking independence. It’s a challenging job. Much was going to depend on the ICC Assembly of State Party’s choice of prosecutor in 2003. The first Prosecutor of the International Criminal Court, Luis Moreno-Ocampo, was during his tenure an Olympian figure; though the verdict of history on his achievements looks increasingly likely to be that of Ozymandias. There is a risk, of course, in taking such a statement out of context. But it lends credence to the views of some that ‘Moreno-Ocampo seemed to see the I.C.C. not as a forensic body so much as a “naming and shaming” organization, like Human Rights Watch or Amnesty International.’ If correct, this would seem to do a good job of explaining some of the problems of Moreno-Ocampo’s tenure. If one puts ‘the message a case is going to send‘ first, there is an obvious risk that the forensic work required to establish a case upon which someone could be convicted becomes ‘subsidiary’. Moreno-Ocampo’s evidence gathering strategy and his expansive interpretations of his own powers led to unfortunate clashes with the Chambers at trial. The worst of these concerned his approach to Article 54(3)(e) confidentiality agreements, and his policy of relying on intelligence from UN agencies provided under conditions inconsistent with the duty of disclosure to the defence. This led to scathing criticism in Lubanga with the Trial Chamber in 2008 declaring: ‘the trial process has been ruptured to such a degree that it is now impossible to piece together the constituent elements of a fair trial’. The indefinite stay of proceedings in Lubanga was overturned on appeal but only after waivers of confidentiality had been negotiated. This didn’t end matters: Moreno-Ocampo had another run-in with the Lubanga Trial Chamber in 2010 over his refusal to disclose the identity of an ‘intermediary’ used to gather evidence which the Chamber found to be an abuse of process. Moreno-Ocampo’s remarkable argument had been that the OTP was an equal branch of the Court and the execution of certain of his duties to witnesses was not subject to judicial direction. Both Trial and Appeals Chambers saw in this an unacceptable assertion that ‘the Prosecutor may decide whether or not to implement the Trial Chamber’s orders depending on his interpretation of his [own] obligations under the Statute.’ Some will see this as a history of missteps, the growing pains of an institution. Others might fairly see a pattern of expansive and self-serving approaches to the Prosecutor’s role verging on arrogance. There is a real risk these early clashes eroded trust between the OTP and Chambers. Reports of Moreno-Ocampo’s dealings with his subordinates are, if anything, much worse. Early Court officials recall him shouting ‘For you, I am the law!’ when contradicted, and the development of a culture in which ‘even working meetings were choreographed, to ensure that the Prosecutor and his favourites would not be contradicted’. This is not merely to reproduce office scuttlebutt. Such a working culture is clearly incompatible with ‘vigorous peer review’ of motions and court documents. It is also unlikely to furnish a leader with good advice. Results included his embarrassingly poorly-prepared examination of Kenyatta. Moreno-Ocampo also summarily dismissed an employee who had brought a complaint of sexual misconduct against him, in a manner contrary to basic due process according to the ILO Administrative Tribunal. On his watch ‘22 of the top staff members in the OTP left’. Moreno-Ocampo himself describes the climate in the OTP under his tenure as ‘a mess’. The air of scandal which now clings about Moreno-Ocampo has certainly not helped the Court’s image. There is the matter of his 2015 $3 million consultancy to a warlord-associated Libyan businessman, Tatanaki, to assist in bringing suspected war criminals to justice but also to protect the latter ‘from legal action’. Der Speigel reports information was leaked to Moreno-Ocampo that the ICC was considering Tatanaki as a suspect and that Moreno-Ocampo began to work up a defence strategy for him. Then there are the unfortunate revelations which seem to indicate a pattern of courting celebrities and on at least one occasion soliciting advice from Angelina Jolie on how best to communicate his public decision on the first Palestinian attempt at self-referral, and giving her an advance copy of that decision. There also appears to have been an ill-advised degree of contact between Moreno-Ocampo since he left the Court and his successor, Fatou Bensouda, regarding ongoing cases and potential investigations. (Although Bensouda denies this.) Revelations surrounding Moreno-Ocampo have resulted in an internal ICC investigation – but only it would seem into staff members alleged to have continued close contact with Moreno-Ocampo. The investigation will be carried out by the four-person Independent Oversight Mechanism. The final verdict of history on Moreno-Ocampo is likely to be poor. He was a prosecutor who, by his own admission, did not consider securing convictions his first priority; rather his goal was using ‘the shadow of the court’ to prevent crimes. However, on his watch cases were mounted on the basis of very limited investigations and conducted without, it seems, either a clear eye to litigation strategy or a staff which was prepared to give him fearless advice. It is thus perhaps unsurprising that in his nine years as Prosecutor he initiated more than a dozen cases and saw only one through to a successful conclusion. Of those he initiated only two have so far resulted in convictions and there have been, as noted, acquittals and terminated proceedings. To succeed in persuading rulers like Al Bashir to bargain in the shadow of the Court, the Court must be seen to be effective and credible. Moreno-Ocampo’s legacy is a damaged court, of diminished stature, which casts a notably shorter shadow. In mid-2012 Prosecutor Bensouda inherited a mess, and it is perhaps too early to judge her performance as the second Prosecutor. That said, having been Moreno-Ocampo’s deputy she was scarcely new to the OTP and given her reported contact with him over continuing cases and investigations after the end of his term, seems more a continuity than change candidate. Her term will expire in mid-2021. The convictions so far on her watch as Prosecutor have been Al-Mahdi, a guilty plea; and the controversial Katanga case. The cases to watch for her legacy will be Ntaganda and Ongwen, and perhaps Gbagbo and Blé Goudé (if the acquittal is overturned on appeal and the trial resumes). Of the other suspects in custody (or soon to be), the cases in Al Hassan, Ngaïssona and Yekatom seem most likely to be concluded on the third prosecutor’s watch, presuming none collapse. At first blush, her approach appears to have been more cautious. Excluding administration of justice cases, of 40-odd ICC defendants in total only eight or so have been indicted during her term. Such a slowing of the pace could reflect a more measured and realistic approach to building cases. To her credit, there has been the well-received shift from ‘short and focussed’ to more in-depth and open-ended ‘holistic’ preliminary examination investigations. On the other side of the ledger, it has been widely noted that only rebel leaders have been indicted on her watch. Nonetheless, the Gbagbo and Blé Goudé acquittal on a ‘no case to answer’ motion badly dents the likelihood Bensouda will be remembered as the measured and cautious Prosecutor who put the OTP on a firmer footing. The circumstances of the acquittal would appear a stinging rebuke. It is highly unusual in international criminal law for a ‘no case to answer’ motion to result in an acquittal at the end of the Prosecution’s presentation of its evidence. This is because entry of an acquittal at this stage does not require an assessment of whether the prosecution has made out its case beyond reasonable doubt, but rather requires an assessment that the evidence is such that no reasonable trier of fact could convict. Granting a ‘no case to answer’ motion is thus a fairly direct statement that the Prosecutor has failed to prevent a coherent case backed by adequate evidence. Warning signs were there early. At the Pre-Trial Chamber level in Blé Goudé Judge Van Den Wyngaert anticipated what appears to have been a key issue, that in relation to two of five key ‘incidents’ there was simply no evidence to tie the defendant to the alleged resultant crimes. In Gbagbo she also foresaw problems with the evidence sustaining the case-theory that there was a common plan, whether formed explicitly or implicitly, among Laurent Gbagbo’s “inner circle” to maintain him in power at all costs including through the commission of crimes against civilians perceived to be opposition supporters. (A case theory based on the idea such a plan was hatched in 2000, followed unswervingly, and culminated only in violence in 2010 has been described by Bouwknegt as involving ‘such a simplistic understanding of Côte d’Ivoire’s political history that it was bound to fail’.) That the Trial Chamber in turn had substantial misgivings about the case theory was clearly signalled in its request that the Prosecutor file a ‘mid-trial brief’ summarising how the evidence related to the charges. Such a request is scarcely compatible with the bench considering it has been presented with a tightly-run and coherent case. In a development as unusual as the request for the mid-trial brief, we still await written reasons for the acquittal. Nonetheless, it would appear plausible that the case collapsed based on a lack of evidence linking the defendants as leaders with crimes committed on the ground. While no doubt a bitter disappointment, Bensouda’s response was more measured at least than her press release after the Bemba acquittal. Following Bemba, Bensouda notoriously issued a press release directly criticising the standard of review adopted by the Appeals Chamber on evidentiary issues. The point is not that such questions of law are beyond criticism, but rather that it is – at the very least – unwise for the Prosecutor to make them, especially given the seemingly fractious relationship she inherited between her office and the ICC judiciary. At the time it earned a direct rebuke from the ICC President. A lack of collegiality in Chambers? Lamentably, there is not only a visible lack of trust and collegiality between the OTP and Chambers, but there are worrying signs of a lack of collegiality within the ICC Judiciary itself. Most recently and spectacularly, there has been a series of quite remarkable public exchanges arising from the pending appeals arising out of the Gbagbo and Blé Goudé acquittal. One might have thought who in the Appeals Division hears such a case would be an unproblematic question. One would be wrong. Judge Ibañez Carranza dissented from a decision assigning a presiding judge to the appeal. (She has what appears a reasonable grievance that she has not yet been appointed a presiding judge and that the ordinary procedure of assigning such work based on rotation and seniority was not followed.) Her dissent was then rebutted in a joint declaration by Judge Eboe-Osuji (the President of the Court) and Judge Hofmański (the President of the Appeals Division) defending the appointment of Judge Eboe-Osuji to preside in the appeal. Judge Ibañez Carranza then publicly challenged the legal basis for issuing such a declaration and characterised it as a potential abuse of administrative functions. As Heller has put it: ‘you know things are bad at the Court when disagreement over presiding-judge appointments is spilling out into the public’. It certainly adds to an atmosphere of ‘messy, foundational disagreements’ between and within the branches of the court and adds weight to the charge the institution is dysfunctional. The intra-mural disagreement over constitution of the Gbagbo Appeals Chamber being publicly aired would be bad enough if it were an isolated incident. As Mistry has documented, it is not. Mistry highlights powerful reasons to (at least) be alarmed about the state of collegiality in the Court. In the Ruto and Sang ‘no case to answer’ decision, the view of the Trial Chamber majority was conveyed through a bald reference to separate opinions which gave different reasons for decision. As a formal matter, this appears inconsistent with Article 74(5) of the Statute requiring a reasoned decision of the Chamber. Substantively, as Mistry points out, it appears to signal a breakdown of the deliberative process if those who agreed on the outcome could not agree on a common set of reasons. It is also, obviously, unhelpful for the Court in establishing a jurisprudence constante if Chambers circumvent the requirement to at least give reasons for a decision agreed by a majority. Mistry also looks to the scathing ‘dissenting opinion of Judge van den Wyngaert from the Trial Chamber judgment in Katanga (and the response of Judges Cotte and Diarra in their joint separate opinion) and the joint dissenting opinion of Judges Tarfusser and Trendafilova from the Appeals Chamber judgment in Ngudjolo and Chui.’ While dissent is not a sign of a lack of collegiality per se, exceptionally robust language in which one accuses colleagues of having acted unfairly or ultra vires (as occurred in these cases) may be. Mistry argues that the maintenance of both formal and substantive forms of collegiality is necessary to the quality of the Court’s deliberative processes internally and its perceived legitimacy externally. It is hard to disagree. While we fully respect [the] views [of colleagues in the minority], it is important to recognise that the strong divergence in how we evaluate the Conviction Decision is not just a matter of difference of opinion, but appears to be a fundamental difference in the way we look at our mandates as international judges. We seem to start from different premises, both in terms of how the law should be interpreted and applied and in terms of how we conceive of our role as judges. While we do not presume to speak for our colleagues, it is probably fair to say that we attach more importance to the strict application of the burden and standard of proof. We also seem to put more emphasis on compliance with due process norms that are essential to protecting the rights of the accused in an adversarial trial setting. While not as brutal as some of the other dissents it is striking that such a paragraph was included at all – especially one which implicitly suggests colleagues do not place a high priority on ‘strict application of the burden … of proof’ or ‘protecting the rights of the accused’. The problems with collegiality in Chambers matter. For these disagreements to spill out in an increasingly public and combative way is self-evidently damaging to the court’s standing. The seeming lack of an internal culture of striving for consensus is also damaging to the Court’s ability to develop a jurisprudence capable of meaningfully guiding the work of the Trial Chambers and Prosecutor. To take but one issue, the Bemba Trial and Appeal Chamber judgments and separate or dissenting opinions taken together show the court unable to reach any meaningful agreement on the only novel question the Rome Statute introduces to the law of command responsibility: the causation requirement. This is left entirely to future cases. Further, the various separate opinions in the Bemba Appeal take different approaches to the (I had thought settled) law governing the mental element of command responsibility. The result is a mess for anyone attempting to discern what the applicable law on point is at the ICC: at the least, this is a highly regrettable wasted opportunity. The more devastating and fundamental disagreement which appears to run through ICC judicial decision making is the correct approach to the assessment of evidence. 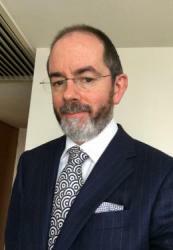 McDermott has ably identified the division between ‘atomists’ and ‘holists’: those who think each piece of evidence relevant to the case theory which would support conviction should be individually assessed and weighed (before coming to a conclusion about whether the evidence as a whole makes out a case beyond reasonable doubt); and those who consider such an approach a form of salami slicing which may obscure conclusions which can fairly be drawn from the record as a whole. I agree entirely with McDermott that the holistic approach risks ‘papering over the cracks’ in a prosecution case and is, moreover, not compatible with a system of proof beyond reasonable doubt (even if it might be appropriate in a system based on l’intime conviction du juge). Mistry notes that collegiality is perhaps easiest to achieve in setting where judges share a pre-existing common culture. One can think of the tradition in Commonwealth jurisdictions of appointing judges principally from the ranks of barristers who share a common professional socialisation (and all too often a common gender and socio-economic background). Further, the ICC statute sensibly makes provision for the appointment of judges with either prior criminal law or intentional law expertise. However, international law experts in many cases will have little or no criminal trial experience. Thus, judges may represent not only different legal systems but very different professional backgrounds. Collegiality may be harder to foster amidst such diversity. Nonetheless, it would help if members of Chambers appeared to be trying. As outlined in Part I, the ICC exists in challenging times and was created with, in former Judge Van Den Wyngaert’s phase, certain ‘flaws in the legal architecture’. However, the problems it faces have been compounded by the impression of dysfunctional operation in practice. This comes down to personalities, working methods, and institutional culture. The Court was created in a moment of great enthusiasm and born with enormous normative and political capital. The risk at present is that that capital is being spent down and not replenished. Something needs to change. In Part III I will outline some tentative thoughts about what those changes might look like, both in terms of institutional arrangements and culture.